Vaido (Võrumaa, Estonia) on 3 March 2013 in Business & Industry. A rather "romantic" industrial scene. 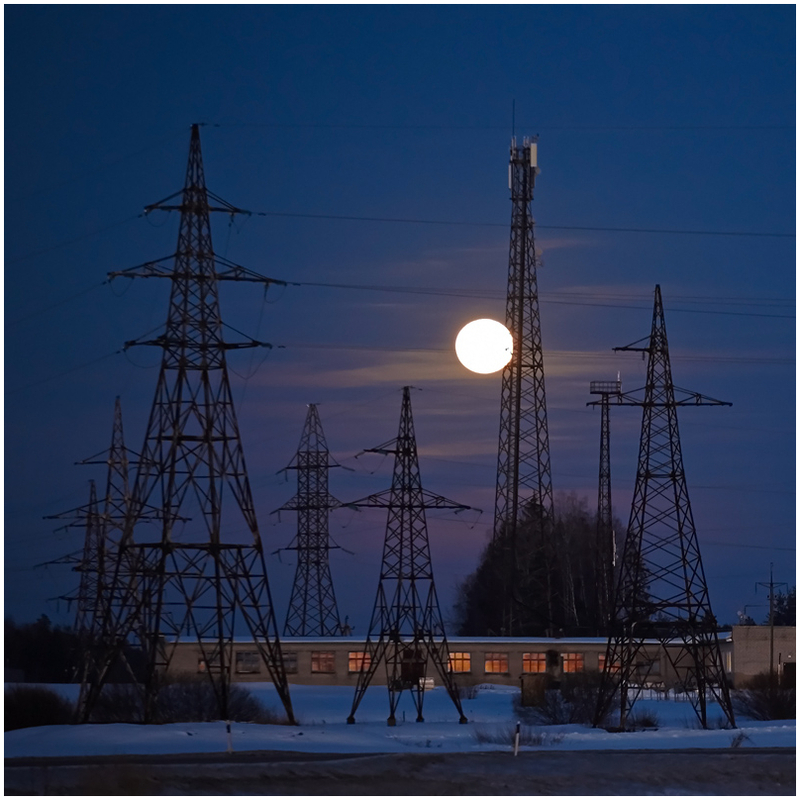 How does the moon appear to be in front of the pylon? Super shot with amazing touch of the night mood. Great shot ! Wonderful image ! The towers seem to be marching. A beautiful scene.